How would you like wait in an airport lounge? Where you can relax in plush chairs in a quiet setting, nibble on snacks, and browse the Internet? Unfortunately, this luxury doesn't come cheap. Entry into an airport lounge can be as much as $60 per person. If you travel frequently, these fees add up. One way to beat these costs is to get the right travel rewards card that offers complimentary lounge access on top of its regular travel rewards program. The right card for you depends on how often you travel and which airline you use. Cards with lounge access usually come with a hefty annual fee, but travelers who fly a lot often say it's their favorite perk. A quiet setting: Instead of waiting with the crowd at the gate, you can rest in a more peaceful setting on comfortable chairs or couches. A place to work: Need to get some work done before your flight? Airport lounges generally provide free Internet access and charging stations, and some even have printers and fax machines. Food and drink: Lounges usually offer complimentary snacks, soft drinks, and even alcoholic beverages. The American Express Centurion lounges even offer premium drinks and food in partnership with local renowned chefs. Help from airline reps: If you have a sudden change of plans or something else comes up, lounges often have a customer service rep from the airline who can help sort out your problem. Showers: Some lounges have shower amenities where you can freshen up during a layover. There are a number of lounge networks around the world, but we're focusing on Delta, American, and United - the three big U.S. carriers with lounge clubs. Each carrier has a different credit card partnership. 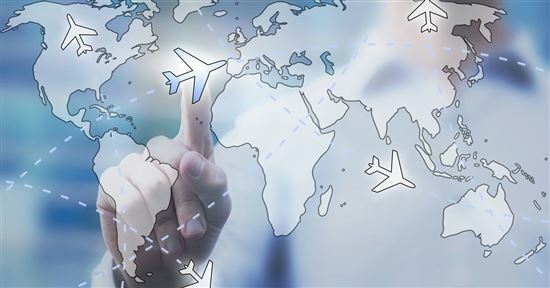 Take a look at which airline you fly most often to see which card is right for you. 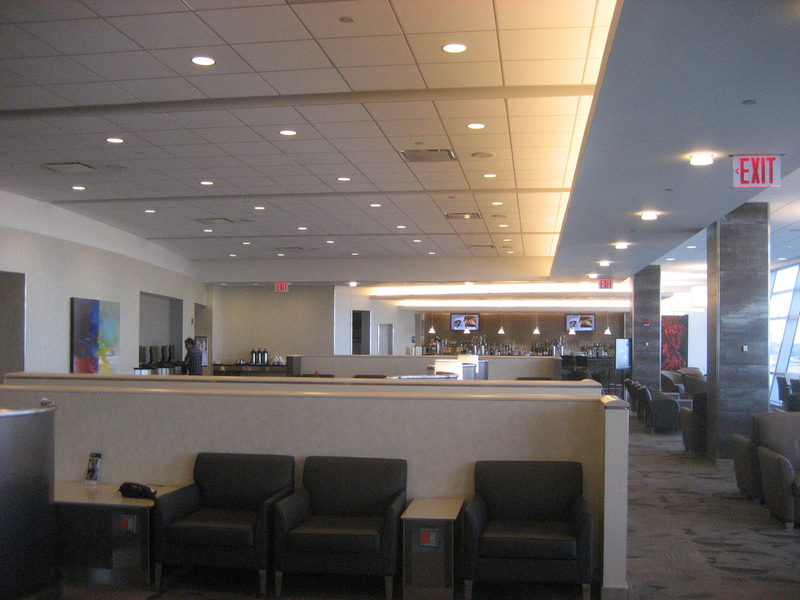 Delta Sky Club lounges are in over 50 locations in most major U.S. airports and some international airports in major cities. 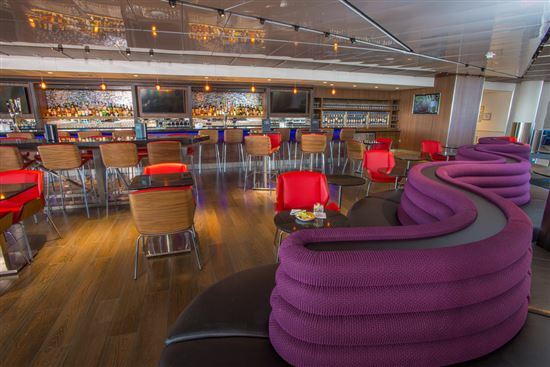 The lounges usually offer light refreshments, Wi-Fi, and entertainment materials. Some even have free self-service bars and showers. The Platinum Card® from American Express has a hefty annual fee of $550 (See Rates & Fees), but we recommend it as one of our favorite cards for travel perks. Priority Pass Select: You get free Priority Pass membership (enrollment required), where you can access over 900 participating airport lounges worldwide - no matter what class or airline you fly. Airspace Lounges in New York (JFK), Cleveland (CLE) and the Baltimore-Washington International (BWI) airports: Learn more at Airspace Lounge. Centurion Lounges: You get unlimited access into these special American Express lounges, which offer complimentary gourmet food, signature cocktails and curated wines, high speed Wi-Fi, a computer bar, and more. Centurion Lounges can be found in Dallas (DFW), Las Vegas (LAS), New York LaGuardia (LGA), Miami (MIA), Seattle (SEA), and San Francisco (SFO). Learn more at The Centurion Lounge. 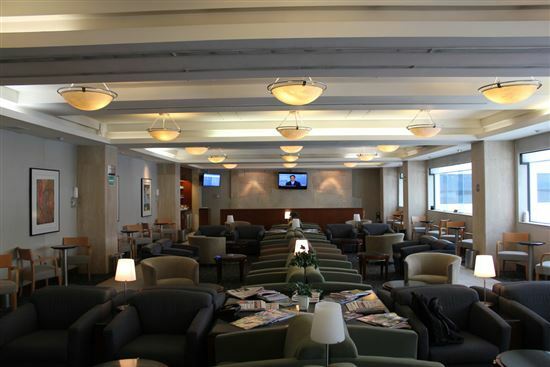 Amex Platinum lounge access is one of the most extensive we've seen on CreditDonkey. The 5 airport lounge networks combined give American Express Platinum holders access to over 1,000 airport lounges. Aside from airport lounge access, you also get a laundry list of other travel perks that include: Up to $200 for Uber rides annually, a $200 airline fee credit for incidentals from the one selected airline of your choice, $100 credit every 4 years toward either Global Entry or TSA Pre, platinum concierge service, and complimentary Boingo Wi-Fi. Not to mention a generous introductory bonus. Marriott Bonvoy Gold Status: Get late checkout (when available) and room upgrades based on availability, choice of welcome gifts, and complimentary premium in-room Internet. Honors Gold Status (if you prefer Hilton properties instead): With this, you get the 5th night free on stays of 5 or more nights and late check out (when available). Some properties will also offer additional perks like complimentary snacks or room upgrade, if available. Fine Hotels and Resorts Program: This is AMEX's luxury hotel booking program, where you can receive perks such as guaranteed 4pm checkout, complimentary breakfast, and room upgrades, if available. The Hotel Collection: With eligible bookings of 2 or more nights, get a $75 credit on qualifying charges, such as dining, spa, and resort activities. Car rental privileges: You can also enroll in Avis Preferred Club, Hertz Gold Plus Rewards and National Emerald Club Executive memberships. You'll earn perks like car upgrades (if available). 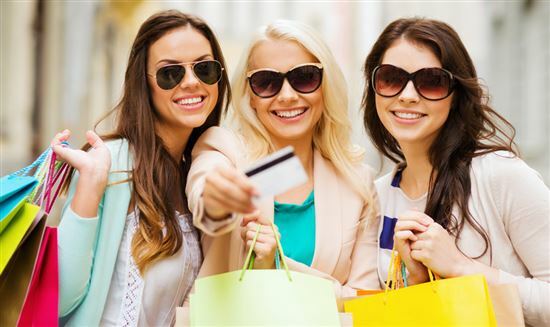 If used correctly, AMEX Platinum's perks can outweigh the steep annual fee. Do you own a business? There is also a business version of this card - The Business Platinum® Card from American Express. It has a $595 annual fee (See Rates & Fees) and comes with 10 Gogo in-flight Internet passes per year. Plus, when you use Membership Rewards Pay with Points for a flight with your selected qualifying airline, you'll get 35% of the points back (up to 500,000 bonus points per calendar year). Another major difference is the annual fee for additional cards - $175 for the personal Platinum (up to 3) and $300 for Business Platinum. The Delta Reserve® Credit Card from American Express and Delta Reserve for Business Credit Card get you access into Delta Sky Clubs, but unlike the AMEX Platinum, you don't get access into the other lounge networks. Instead, you get other travel perks such as a free checked bag on Delta flights for you and 8 travel companions (on the same reservation), priority boarding, companion certificate each year upon renewal, and 20% savings on in-flight eligible Delta purchases. Both cards have a $450 annual fee (See Rates & Fees). Terms and limitations apply. 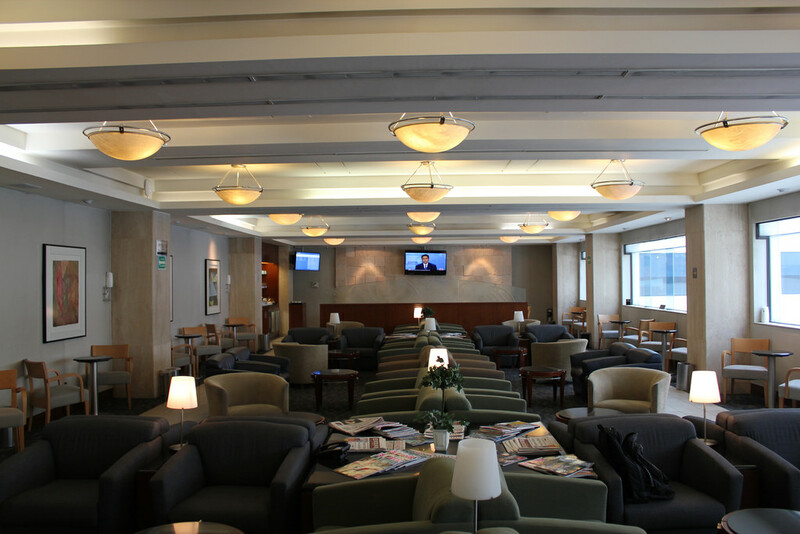 American Airlines operates the Admirals Club network of lounges, available in over 80 locations in major airports around the world. 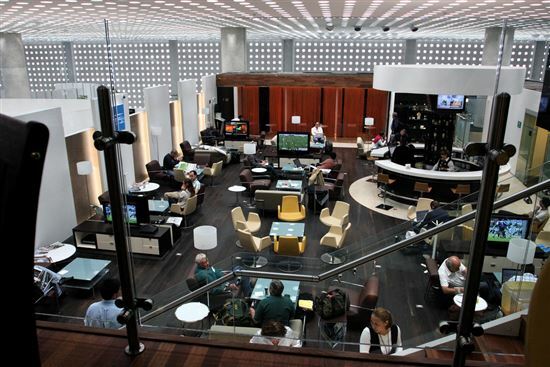 Admirals Club lounges offer light snacks, drinks (including alcoholic beverages), Wi-Fi, and workspaces. Some special locations even have small gyms and showers. The Citi AAdvantage Executive card allows you, plus two guests, access into Admiral Clubs. Authorized users also get complimentary lounge access. 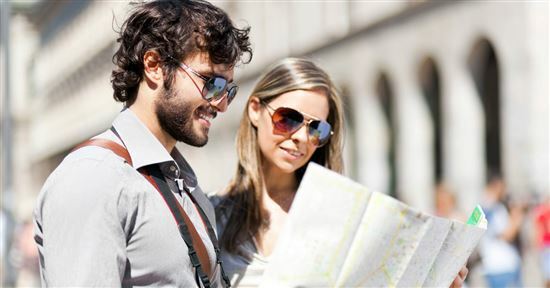 Other travel benefits include $100 credit every 5 years for Global Entry or TSA Pre application, priority check-in and early boarding, first checked bag free for you and 8 companions on American Airlines flights, 25% off on in-flight purchases with American Airlines, and premium concierge service. The annual fee is steep at $450, but if you mainly travel on American Airlines, the lounge access could make it very worthwhile, especially as it includes access for guests with you and authorized users as well. Citi AAdvantage: Pricing information from published website as of 10/16/2016. The Citi Prestige also comes with a $450 annual fee, but it has always been a top contender for travelers because of its complimentary access to Admirals Club. But this will no longer be one of the benefits as of July 23, 2017. Instead, it will feature access into Citi Proprietary Lounges (more information to come). Is this card still worth considering? 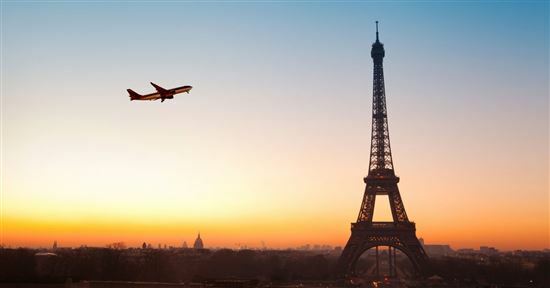 It still has an attractive list of benefits, including: Priority Pass Select membership into hundreds of lounges around the world, $250 yearly Air Travel Credit for flight-related expenses, $100 credit every 5 year for Global Entry or TSA Pre application, complimentary night after a 4-night eligible stay at any hotel, and premium concierge service. But the loss of Admirals Club access may be a turn-off for American Airline fans. Citi Prestige: Pricing information from published website as of 10/16/2016. United Airlines operates United Clubs lounges, which have over 45 locations. Most are in the United States in major airports, but there are a few international locations in Hong Kong (HKG), London Heathrow (LHR), Mexico City (MEX), and Tokyo Narita (NRT). Lounges offer light food and drinks as well as Wi-Fi, and some provide shower amenities and family rooms. A one-time pass would cost you $59 or a one-year membership costs $550. However, if United is your airline of choice, there is one card that offers complimentary access. The United MileagePlus Club card from Chase gets you membership into United Clubs. As United is part of Star Alliance, this card will also unlock access to participating Star Alliance lounges when you fly with other Star Alliance carriers, but the options are not as extensive. Other travel perks are more limited too, mainly just consisting of the 1st and 2nd bag checked for free for you and one companion, priority check-in, and early boarding. The real value of this card and its $450 annual fee is in the United Clubs membership. However, as most of these lounges are in the U.S., we'd say only consider it if you fly United often on domestic flights. United MileagePlus Club: Pricing information from published website as of 10/16/2016. Priority Pass is the largest independent airport lounge network in the world. A membership provides you with access to more than 1,000 airport lounges in over 500 cities around the world. Priority Pass does not operate any of the lounges. Instead, they provide the access to the lounges via their membership program. Is Lounge Access Worth It? Airport lounges are considered to be a luxury travel feature, and so the credit cards offering access have luxury price tags to match. However, if you frequently use one of these three major airlines, you may find that the lounge access is a very worthwhile perk to justify the steep annual fee. Luxury travel cards aren't so much focused on rewards as they are on perks. To find the card best suited for you, consider which airline you use the most and which airports you visit the most. Make sure that the airports you frequent have the lounge network you want, or else you won't be getting much value out of the card. The information for Delta Reserve® Credit Card from American Express, Citi AAdvantage Executive World Elite MasterCard, Citi Prestige, United MileagePlus Club have been collected independently by CreditDonkey. The card details on this page have not been reviewed or provided by the card issuer. A well-needed get away with airport lounge access on top of that makes for a winning combination. 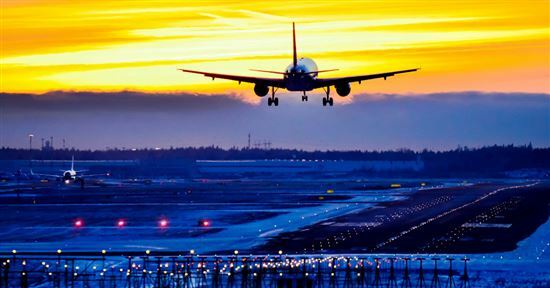 Don't stress yourself out before you even arrive at your destination, stay on top of things, put your feet up and keep relaxed in an airport lounge.